We are slaves of our brain. Most of our life we are busy thinking about our past or our future even both are only a construct of our mind. But we are not our brain! Identification with our mind through a false self, the Ego, creates a substitute for the true self which will keep you in the unconscious state of your life situation. Forget for a moment your life situation and give your life your full attention. Your life situation exist only in the time which is also only an imagination of your brain. Your life is NOW. In the now there are no problems. If you are full of problems then there is no space to create something new and no space for a solution. Whenever you can, create room, so that you can find your life which is far deeper than your life situation. If you ever experienced an emergency situation on life and death you know that there was no problem at this moment. Your mind didn't had the time to play around with the situation and create a problem out of it. In a real emergency situation your mind stop working, you become completely conscious in the Now and a much bigger power take the lead. 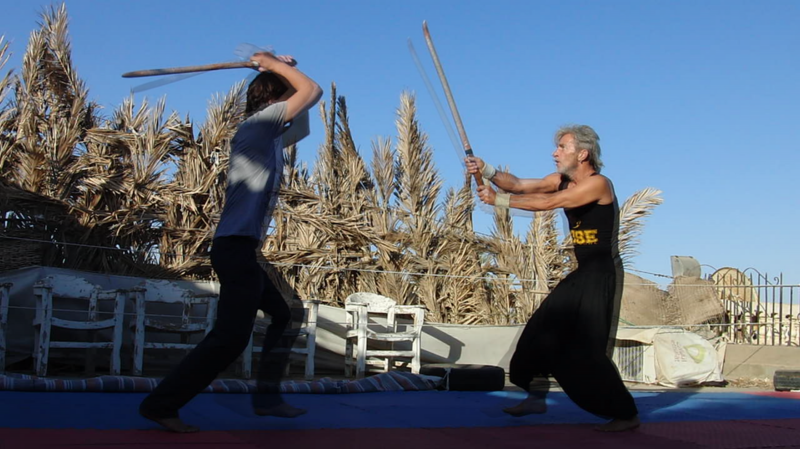 In the training with the sword you always imagine real combat. 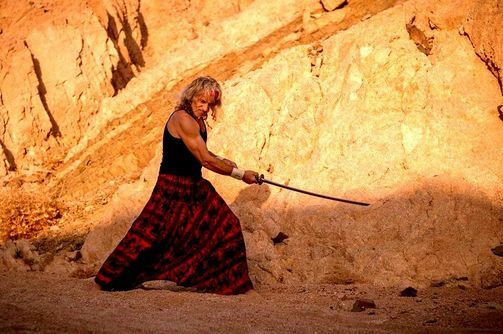 As a warrior with the sword you are forced to be in the Now - a state full of vitality, free of time, free of problems, free of thinking, free of the load of personality. To leave the state of Now just only for a fraction of a second could result in death. I always tell my students to use this experience in daily life - walk like a warrior. Walk conscious, be grounded, be aware of your surrounding, see everything, hear everything, smell everything but do not think - just be in the Now ... and train daily. Sequences of attacking and defending movements against several fictive opponents. In training against fictive opponents you never cut just thin air, you always train with full spirit to cut a man. Briefed attacking and defense movements with one or more partners. 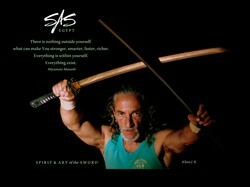 Most important in the stunts is the spirit of harmony and power control.